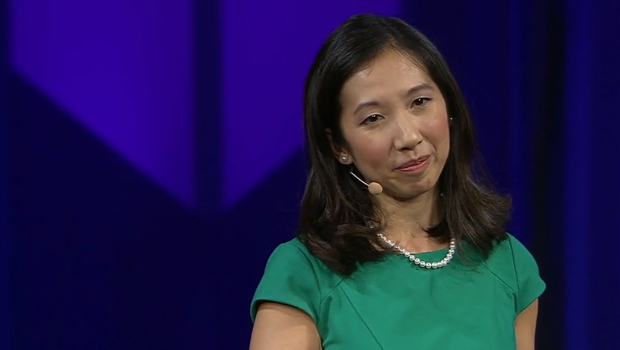 Chinese immigrant, doctor, and health advocate Leana Wen was appointed to be the new president of Planned Parenthood on September 12. The appointment signals no change in Planned Parenthood’s core mission, but merely puts a new face to that mission, albeit a fresh one. Planned Parenthood hasn’t had a doctor as president in 50 years, and never before an Asian-American. Leana was born in China, but moved to the United States with her parents when she was 8 years old. At 18, she graduated from California State University at Los Angeles with a bachelor’s degree in biochemistry. She went on to earn a medical degree, as well as two master’s degrees, and work as a physician and health advocate in a number of positions. As the Baltimore city health commissioner, Leana worked passionately to solve problems, like the city’s opioid crisis, and make sure people were taken care of, even hand-delivering medications to elderly citizens in 2015 when Baltimore CVS stores were burned down by rioters. While Dr. Wen is quite the advocate for health, it seems she has no problem promoting the killing of babies. Leana has long held the progressive position of women’s rights to reproductive health care throughout her medical carrier. She supported Baltimore’s city ordinance to require pro-life pregnancy centers to advertise that they don’t provide abortions, and even helped in the lawsuit that followed when the law was challenged. As the new president of Planned Parenthood, Dr. Wen is not going to change their standing focus of “abortion first, abortion always,” but instead will continue to promote abortion as a woman’s fundamental human right to “healthcare,” and make the organization look more friendly and credible. Every year Planned Parenthood runs over 300,000 abortions in all their clinics, obviously ending thousands of innocent lives, but also hurting thousands of young girls, leaving them with unimaginable emotional pain, and sometimes even permanent physical damage. Such was the case for 23 year old Keisha Atkins. After receiving an abortion at Southwestern Women’s Options on January 31, 2017, she got an infection, which progressively grew worse. When she started having problems breathing on February 3, instead of calling 911 she called the abortion center’s hotline, having been instructed not to call anyone besides the doctors at the clinic should problems arise. Eventually, she was taken to the University of New Mexico Hospital, but by then it was too late. Keisha’s mother, Tina Atkins, and sister, Nicole Atkins filed a lawsuit on September 14, 2018 against the clinic and the doctors involved claiming that the failed abortion was the cause of her death. According to Atkin’s attorney, the abortionists at the center likely conspired together to conceal the real reason for Keisha’s death, blaming it on natural causes due to the pregnancy instead. Situations like these are a sobering reminder that abortion is not safe, as organizations like Planned Parenthood, who bring in a lot of money from these procedures, would like you to think. It happens a lot in the abortion industry, but because of the massive political support and prowess of organizations like Planned Parenthood, are largely downplayed or covered up. While Dr. Leana has done some great things to help people, promoting the killing of babies is not helpful for anyone, not for the babies being killed, not for the girls being hurt. Abortion is not a healthcare issue, and it’s not safe as Planned Parenthood says. It’s an issue of morality, and it is deadly. May God forgive us for calling it anything other than what it is. No matter how pretty you make it sound it’s still killing a baby, and frankly that ain’t healthy.